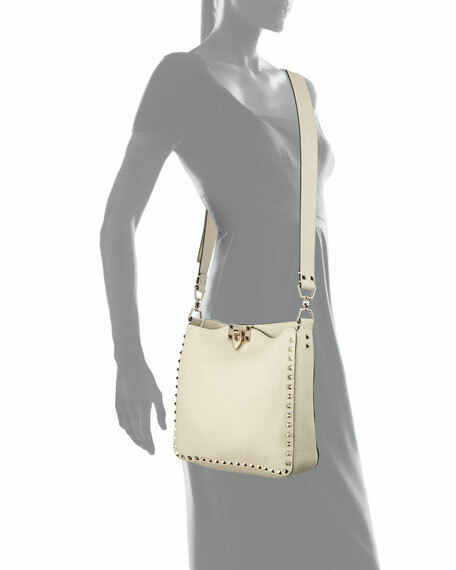 Valentino Garavani pebbled leather hobo bag. Flat woven textile shoulder strap with 20.5" drop. Signature Rockstuds and Rolling cabochons trim edges. Interior, one hanging zip pocket. Embossed foil logo at back bottom center. 10"H x 10.5"W x 3"D; bag weighs 2lbs. For in-store inquiries, use sku #2351875.